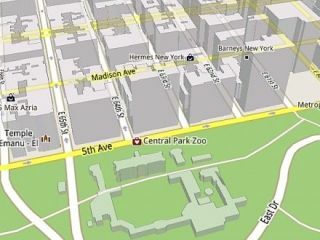 A new version of Google Maps for Mobile is imminent, bringing 3D vectors graphics and gesture controls. Google Maps for Mobile 5 was shown off by Android head Andy Rubin at the All Things Digital conference, along with some of the new features. They include vector graphics for 300 cities and gesture controls that allow you to swipe or move the phone to reposition the map. There will also be offline mode - although a connection will be needed to rejig your planned journey. The devices that will support the new Google Maps for Mobile 5 include the Galaxy S, Nexus S, Droid, Evo and G2 – so owners of older handsets will not be that thrilled for the time being. Google Maps is a significant application for Google, and it is of course a major part of the Android mobile OS as well as Apple's iOS for iPhones and iPad. As mobiles continue to get more powerful, the full functionality of Google Maps as people use it on more powerful computers will increasingly be present on our phone handsets.